Publisher THQ Nordic and developer Black Forest Games have been teasing a new game on Twitter since yesterday. With a reveal set for just two hours from now, likely at The Game Awards, it seems to have leaked a little early on its Steam page and is called Fade to Silence (via Polygon). The game will feature a dynamic weather system that forces players to brave the harsh elements. Much of your survival will depend on how well you read weather patterns and whether you decide to seek shelter or press on. As seen in the image above, you’ll run into monsters roaming the world as well as NPCs. 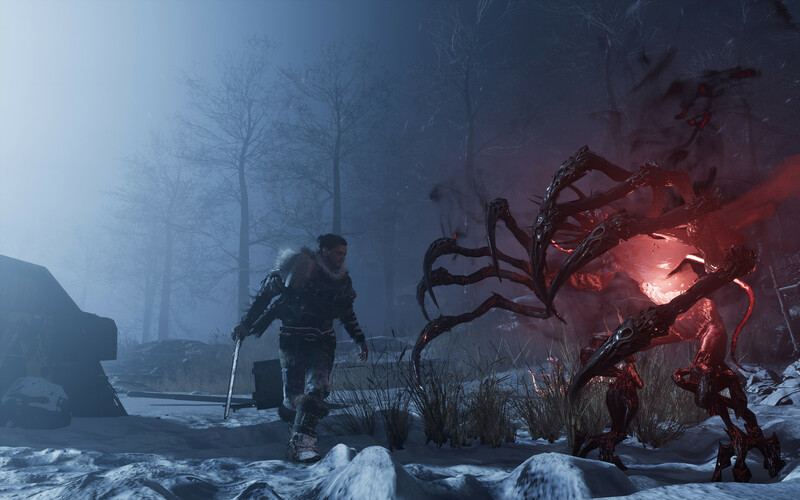 Fade to Silence will first launch in Early Access as the developer believes a survival game is a very personal experience that should be shaped by community feedback. It is set to release on Steam Early Access on December 14, 2017 with a final release scheduled for August 2018. It is unknown at this time if the publisher plans to bring it to consoles.